Published on 1 April 2012. This is Arthur’s Seat in Edinburgh, formed by a 350 million year old volcano, which was partly worn away by a glacier a couple of million years ago. I don’t remember any of that myself (it was a little before my time), but I have it on good authority. 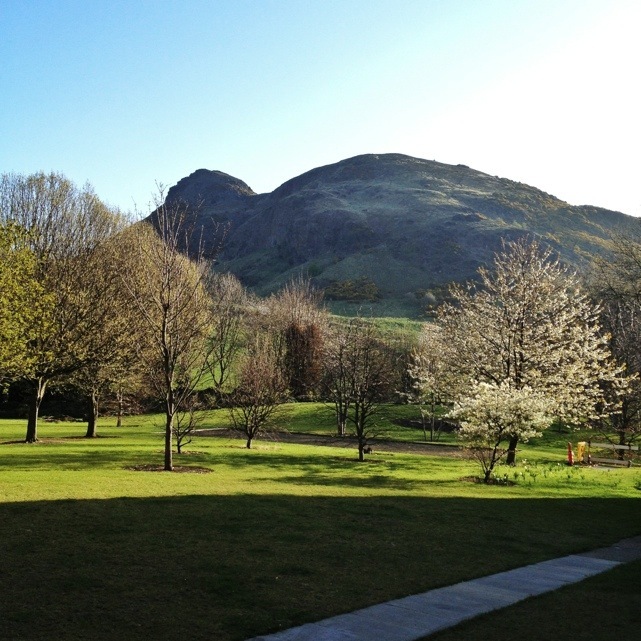 Arthur’s Seat is also an important religious site for Mormons, where Orson Pratt prayed for two hundred new converts almost two hundred years ago. These were duly delivered over the course of ten months. I wonder if, in retrospect, he wished he’d been a little more ambitious and prayed for, say, eradication of all human suffering. Maybe that would’ve been greedy. This 1,588th post was filed under: Photo-a-day 2012, Edinburgh, Geology.